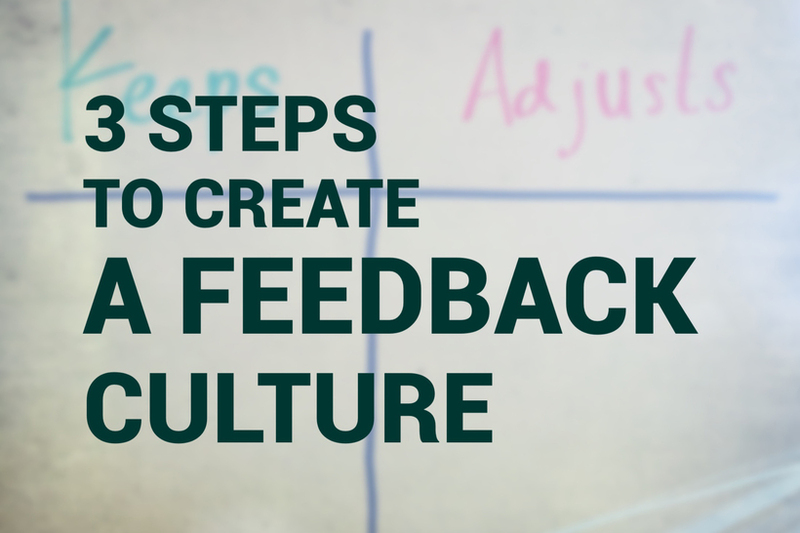 Many things stand in the way of creating a culture conducive to giving and receiving feedback. Sometimes, these challenges seem so insurmountable that we stop trying. We simply opt not to take the psychological and relational risk involved with these difficult conversations. We just say nothing. Or, even worse, we default to destructive, passive-aggressive communication. In choosing not to give each other feedback, we give up on the possibility of greater individual and organizational performance. We also compromise the possibility of deeper and more authentic relationships with each other. Creating a positive feedback culture can be complex. There are obstacles to both giving and receiving effective feedback. At the Michigan Ross Center for Positive Organizations, we have come to adopt a specific mental model and simple framework about feedback. I find it to be helpful to me personally. Our teams have adopted it into their language, and their routines. We think of giving and receiving feedback as being adjusting a golf swing. Experienced golf pros know that small tweaks – such as keeping a slight bend in the knees, or keeping the head steady and centered – can make the difference between the ball going down the middle of the fairway and it hooking off into the rough. These coaches observe the swing with the naked eye and with slow-motion video in order to give precise feedback to the person they are helping. The golf swing metaphor is helpful in a couple of ways. Firstly, it makes the interaction more objective. It is not about the receiver personally. It is about the behavior – the golf swing. Secondly, the metaphor encourages us to try to get leverage on the challenge by being very specific. We aim for the small adjustments, skillfully applied, that can make a huge difference. “Give me a place to stand and with a lever I shall move the whole world,” said Archimedes. To implement these golf swing adjustments, we create lists of “Keeps and Adjusts.” What are the things that are helpful or worked well, that you should keep doing? And what might you consider adjusting for next time? The goal of this language is to take some of the emotional intensity out of the thought of giving feedback. No matter how well something goes, there will always be things that could be adjusted to make it even better for next time. No matter how badly something goes, there will always be things that went well to be retained for future such initiatives. Coming through every project, team members are encouraged to keep track of their Keeps and Adjusts. Afterward, they are invited to share their lists with either a colleague or, with larger projects, the whole team. For example, every event we host generates a list of Keeps and Adjusts. Over time, the projects themselves improve, and a feedback culture is built. By routinizing feedback in this way, we come to expect it. Both appreciation of good things, and acknowledgement of things to improve, become regular occurrences. With this routinization, our anxiety in giving feedback reduces, as does our defensiveness in receiving it. We encourage those leading projects to take the lead in convening “Keeps and Adjusts” conversations. This choice reduces defensiveness by allowing the project manager to invite feedback from a position of power as the person leading the meeting, rather than as the subject of a meeting called by and presided over by someone else – often their supervisor. We often know most of the things that went well and could be done better in our own particular project. By sharing our own lists first, we signal our self-awareness, and we demonstrate our commitment to continual improvement. De-pressurize feedback, routinize it, and encourage project managers to lead by example in seeking it. By taking these steps, you can work toward a feedback culture and feel the benefits in terms of both performance and relationships.